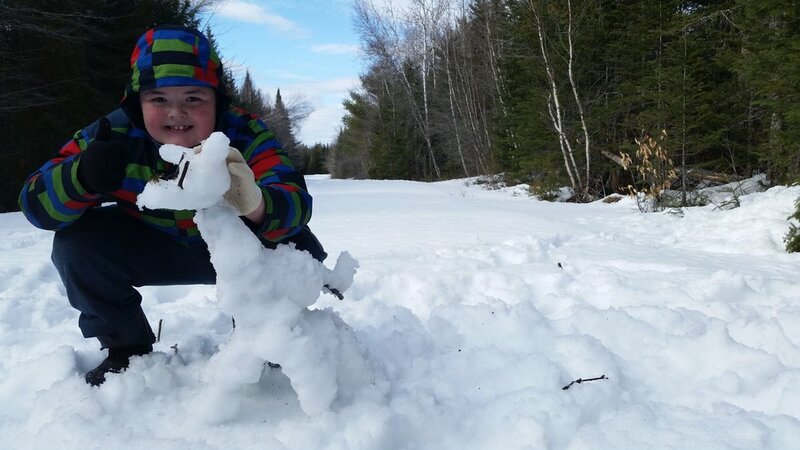 As the days grew longer, albeit colder and snowier, a group of “Forest Detectives” at Cave Hill School sought to learn how our outdoor neighbors survive the Maine winter during our 8-week after school series there from January through March. 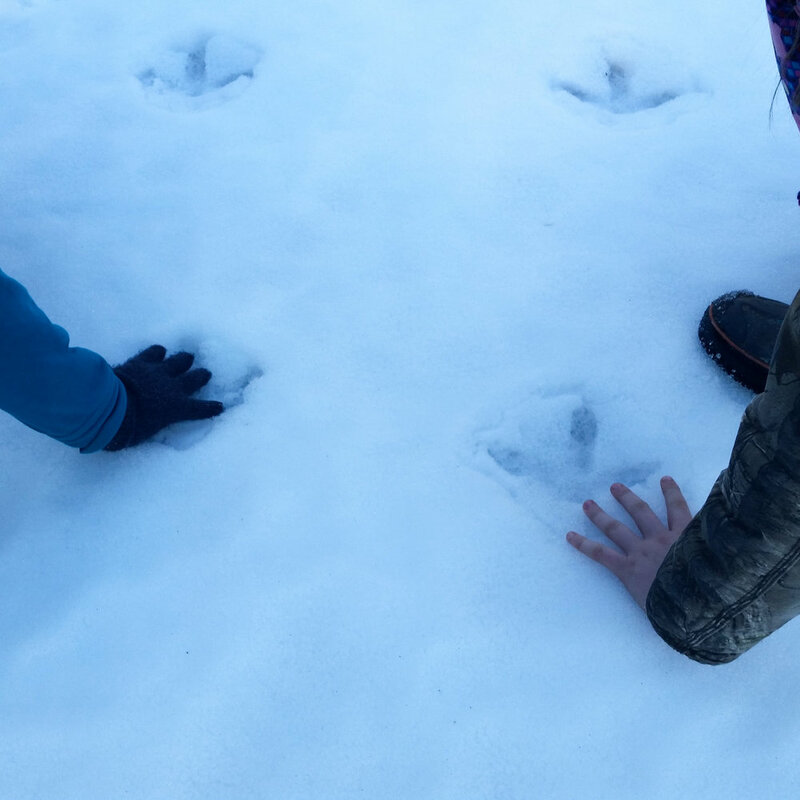 The first day of the program involved hiking through snow that we sunk into past our knees, considering what makes winter challenging for living things in the area. “Snow depth” and “cold” were their first answers, but they quickly realized that the presence of an icy crust on the snow and the lack of food available were also considerable challenges to our winter neighbors. Having made an exhaustive list of all the winter challenges they could think of, and having exhausted themselves in the process, the students were ready to dive into a different winter adaptation each week. Their first topic of focus was mammal survival. With the added enthusiasm of some students from Unity College who were shadowing this program for the day, students ages 8 to 21 were shown pictures of some of our local mammals and had to run to the sign that illustrated how that mammal survived winter. Students of all ages shared what they knew about winter mammals, with the youngest students having the most to share. All students were surprised to learn that Maine only has three true hibernators: groundhogs, little brown bats, and jumping meadow mice. 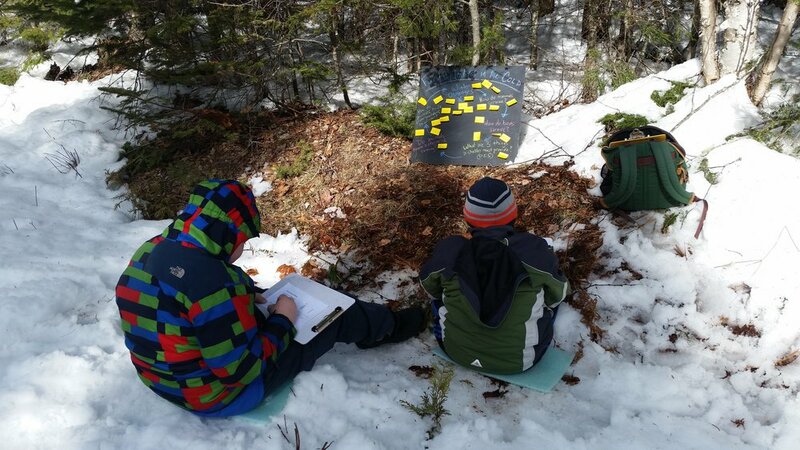 Having explored some key winter challenges and adaptations, these “Forest Detectives in the Cold” spent later programs looking for evidence of bird activity, building ideal shelters that would support different winter mammals and birds, honing their observation skills, looking for evidence of whether animals know a storm is coming, and practicing their camouflage skills in order to get into the mindset of a winter prey animal.